Dr. Sutaria founded Associates In Kidney Disease & Hypertension, LLC in January of 2005. His dedication to patient well being along with a focus on high quality, compassionate care throughout the years has helped thousands of patients suffering from chronic kidney disease and hypertension live longer and improve their quality of life. 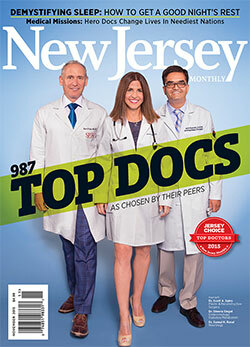 He was selected by his peers/colleagues as one of New Jersey's "Top Doctors" in Nephrology. 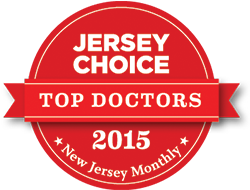 Dr. Sutaria graduated from Rutgers University with a Bachelor of Arts in Biochemistry. He then earned his medical degree (MD) from Ross University School Of Medicine after which he pursued post-graduate training at St. Barnabas Medical Center in Livingston, NJ where he served as resident and chief resident in Internal Medicine. During his residency Dr. Sutaria received awards for "Excellence In Emergency Medicine" & the "Leia Marcovici Award" given to the resident who displayed the most dedication to medicine as well as the most compassionate patient care. He completed his fellowship training in Nephrology at SUNY - Stony Brook University Hospital prior to starting private practice in Edison, NJ in 2005. He received the "Attending Physician Of The Year" Award at Muhlenberg Hospital in 2008. Dr. Sutaria's professional interests includes all forms of kidney disease, particularly related to diabetes and hypertension as well as the management of difficult to control hypertension. His main focus of interest is to aggressively control and reduce risk factors that may cause rapid deterioration of kidney function in hopes to delay or even avoid dialysis. Other interests include anemia related to kidney disease, bone disease in dialysis patients, electrolyte disorders, evaluation and management of kidney stones, and glomerulonephritis. Dr. Sutaria is an active medical staff member at John F. Kennedy (JFK) Hospital in Edison, NJ , Overlook Hospital in Summit, NJ and Rahway Hospital-RWJ in Rahway, NJ. In addition, he is affilated with many hemodialysis units in the surrounding area. He is the medical director of Davita Dialysis in South Plainfield, NJ. Dr. Sutaria has authored/co-authored numerous abstracts as well articles and his original research work on continuous hemodialysis has been presented at national meetings. His abstracts/publications have also appeared in major medical journals. He also has given many presentations at hospitals for his peers on various topics in Nephrology. Dr. Sutaria is an active participant in medical education and teaching for Internal Medicine residents in training at Overlook Hospital. 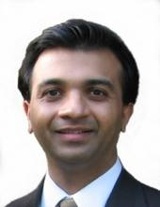 Dr. Sutaria is board certified by the American Board of Internal Medicine & Nephrology. He is a member of the American Society Of Nephrology & The American Medical Association.